Top 20 Best Places to visit in May in India. A Holiday in Manali will completely reenergize one’s mind and fill it with tremendous strength in the green amidst snow-covered ranges, a breath of fresh air and relaxed vacation. Manali is a high altitude town in the state of Himachal Pradesh. Manali is among the most beautiful places located in the state of Himachal Pradesh, India. It is the pure serenity in spending time in Manali. If you wish to reach by air the closest domestic airport is Chandigarh the flights are scheduled from Kolkata to Chandigarh and major cities like New Delhi, Mumbai, Chennai, Hyderabad and Bangalore, and the Closest international airport is New Delhi. One who is planning to reach Manali by Train may find narrow gauges track up to Joginder Nagar is the closest railway station in Manali. Paragliding- Paragliding is on the top activities in the Manali. It gives a really special pleasure to do paragliding with the love one in the solang valley. If you are planning vacations to Manali surely try this activity . Visit Hindiba Devi Temple- the temple is an ode to goddess Hidimba Devi which the people of Manali worship. This place is counted among most amazing places in India. This place is quite aloof from rest of country. This is a very high altitude cold desert and is encircled by the Karakoram peaks and is decorated by beautiful lakes and mighty rivers, like Indus, and Zanskar. The easiest way to travel to Ladakh is by air. The nearest airport of Leh is KushokBakula Rimpochee Airport located in Leh. You can also reach by bus by the government and private buses from Srinagar and Manali if you are choosing Srinagar you will pass through zoji pass to reach Ladakh and you will kill Rohtang pass to reach Ladakh from Manali by train the nearest station is to Ladakh is Tawi which is seven hundred kilometers away from Ladakh. The must do activities at Leh Ladakh are worship at the multiple Buddhist monasteries like Shanti stupa Shankar monastery and Hemis monastery , Trek to the nubra valley and Tso moriri to reach the hemis National park. Besides there you have the option of river rafting through the past rapids of river Indus popular root swimming hemis. .How-to reach Andaman &, Nicobar Islands– by flight you have direct Delhi flight to Port Blair from Delhi Mumbai Kolkata Chennai Bangalore and some flights from Visakhapatnam as well flights from Kolkata and Chennai take roughly 2 hours while the one from Delhi and Mumbai takes 5 hours you can also rich by ship the sale from Chennai there are usually 3-4 selling every month and the 3 active sailing schedule can be found. Get engaged with the Dolphins with Dolphin glass Bottom Boat. Attractions of limestone Caves, Baratang island. Sikkim is a place of the beauty of nature. The Northeastern regions of India are a unique untouched beauty. Sikkim is known as the natural wonders of India. Sikkim lies in the laps of mighty Himalayas, it’s earth is nourished by the sparkling waters of the Teesta River. By flight nearest airport from Sikkim is Bagdogra Airport at a distance of 124km. This airport is connected to major airport of India. You can also reach further to Gangtok by availing helicopter services. By train, major railways heads near Gangtok are New Jalpaiguri 188km and Siliguri 145km. These railway stations are well connected to major cities and towns. By Road also there are frequent public and private transport bus Services connecting Sikkim. Things to do in Sikkim. Some of the most beautiful treasures lie ensconced in Sikkim’s Boundaries. It is here where you can enjoy the cascading falls, Trek the boundaries of mountains of the Himalayas, also you can enjoy the white river rafting here, relaxing on the banks of Gurudmongar lake while sipping a hot Maggie. Dalhousie is considered as the little “Switzerland of India”. It is a natural landscape, surrounded by rivers, magnificent mountains and some most spectacular views in the world. One of the most amazing things is watching a beautiful location in nestled Himalayas. Get memorized with the view of panch pulla waterfall. Ride a boat in Glistening Chambers Lake, spend a picnic Day at mini Switzerland of Linda, Hike up to the Laptop wildlife Sanctuary, Say Hi to Awe-inspiring Satdhara Falls, Trek to the Hanji Pahari, Trek incredible Dainkund and Offer your prayers at Chamunda Devi Temple. Srinagar is known to be one of the summer destinations of India. This is located in the state of Kashmir and is popular for shikara rides, floating gardens, and serene beauty, the city has been regarded as the cash cow of Jammu and Kashmir. This is one of the most loved tourist places during summer. ByFlight you can directly reach to Srinagar airport in by railways you can reach to Udhampur railway station which is 229 kilometer from Srinagar. You can ride shikara in Dal lake, Bird watching at Hokersar, Watching wildlife at Dachigam National Park, and also most loved thing shopping from the floating markets of vegetables and flowers in Dal lake. If you are planning for a happy family Destinations then have a look on at kasol to be your top pick. This most beautiful amazing place in located in the State of Himachal Pradesh and is mostly visited by the youngsters. The Cafés in. kasol serves delicious and healthy food and also the view of mountains are just majestic and the Campus by the river make for a great stay option. By air, you can reach Bhutan Airport which is 31km from kasol and if you are planning to reach by railways then Pathankot is the nearest railway station which is 295km from kasol. Camping, Boating, River rafting, enjoying evening between the mountains and sipping a hot Maggie. 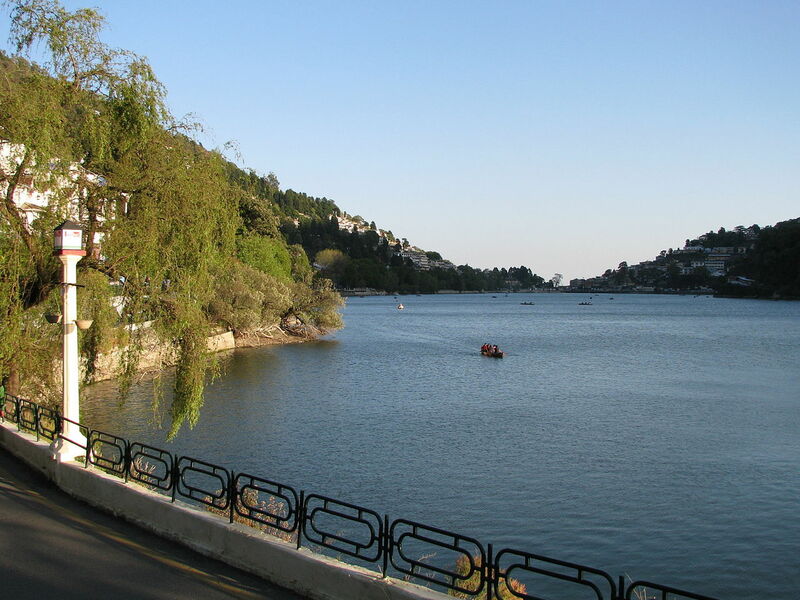 Nainital is the serene beauty situated in the state of Uttrakhand at an elevation of 1,938 m above the sea level, this is one of the prime summer destinations. The quaint Hill station is often pictured as a forested valley amidst which lies a beautiful lake. By air, you can reach airport Pantnagar which is 65 km from Nainital and if you are planning to reach my train then you can reach Kathgodam railway station which 34 km from Nainital. Boating in Naini Lake , view the sunrise from Tippin top, view sunset at Hanuman Garhi, Shopping at Tibetan market, and enjoy a ropeway ride. This is the picturesque hill station it is another great destination. This palace is famed has the holy residence of Dalai Lama and houses the Tibetan monk in exile. This city is differently separated as upper and lower altitudes. Paragliding, Ground Trek, camping, Kareri Lake Trek, Day trip to Kangra valley in Dharamshala, Traditional Day at Dharamshala. The Coorg is covered with lush green and unending tea essence. This place is best among many destinations in India during May. This palace is also known as the Kashmir of the south, this hill station offers the travelers a perfect setting for trekking. By flight, the nearest domestic airport is the Mangalore international airport which is about 160 km away from Coorg. By train, the nearest railway station is in Mysore which is 95km from Coorg and if you are planning to travel by bus there are K.S.R.T deluxe buses, which run from Bengaluru, Mysore, and Mangalore. Camping in Coorg, Barapole, River Rafting, Sunset Jeep Drive at mandalpatti, Offbeat estate stay Near Karada, Tadiandamol Trek and adventure. This is the serene Beauty among every top destination in India. Rajesh is situated in the State of Uttrakhand it is known as adventure sports, this place has the touch of religious significance too. It is the exceptional beauty and the sight of the religious rituals at sundown is a sight to behold. By flight, you can reach the nearest airport that is Jolly Grant airport Dehradun which is approximately 35 kilometer’s away. If you are planning to reach by bus than Rishikesh has a good network of buses connecting it with important places such as Haridwar, Dehradun, and New Delhi. By train, the nearest railway station to Rishikesh is in Haridwar which is approximately 25kilometre away. River rafting, Bungee Jumping, Camping and Bonfire, Mountain Biking, Flying Box, cliff Jumping, Body surfing, Trekking, and Rappelling and Rock Climbing. This is one of the least populated town located in the state of Arunachal Pradesh, this destination is an ideal tourist place in India during May. This place has exceptional weather and a level of its simplicity just attracts every tourist to visit this palace again and again. Tawang is the purest form of nature as well as rich history. The area flaunts a blend of India and China. By air, the nearest airport is Tezpur at a distance Of 387 km. The airport is directly connected to Kolkata and Guwahati through Air India flights. By train, the nearest railway station is Rangapara railway station which 383 km from Tawang. If you want to reach by road there are many buses or cabs services. This place is gems of the astounding Western Ghats, this little hill station of South India, is among the best place to visit during the may month. Popularly known as the queen of hills. Established by the British, this place offers a number of attraction to the tourists like botanical gardens, lakes, tea plantation and most of all place. By air, the nearest airport is Coimbatore which is 85km away from Ooty. By road, an amazing way of reaching Ooty is by the well –Maintained State and National Highways. By train, the nearest railway station is Mettupalayam which 40km from Ooty. Things to do in Ooty. Take a joyride in the Nilgiri Mountain toy train, Behold the stunning colours of the Botanical Gardens, Take a drive up to Dolphins Nose, Go back in time at the Toda Huts, Trek up to Doddabetta peak, Take part in the summer Festival Ooty, Take a speedboat ride at the Pukara, sip exotic blends of tea at the Tea Museum. Owing to its Glorious past, the hill station by the name of Mahabaleshwar has become quite the hot spot for tourists each year during summers. Surrounded by the sky Scraping mountain ranges of Western Ghats, this hill station is a popular short of spectacular as a picturesque. By air, Mahabaleshwar doesn’t have its own airport. The nearest airport is in Pune. Which is about 120km from Mahabaleshwar. By Train, the nearest railway station from Mahabaleshwar is from Mumbai and Pune. By road, if you want to drive from Mumbai it will take about 4 to 5 hours depending on the traffic. Visit the strawberry farms, try local home-style food, Take a walk around Mahabaleshwar, Try Boating at venna Lake, Go trekking, Visit Panchgani. This place is known to be the Queen of Hills, this place has been blessed with some of the most amazing gifts of Mother Nature, the wide flora and fauna give the tourists a feel of serenity, everyday hustle-bustle of tourist gives this place a retreat. Perfect place in India during summers. This place has numerous attractions. By air, the nearest airport is Jolly Grant Airport in Dehradun. By train, the nearest railway station is connecting numerous trains connecting New Delhi and Dehradun. Hop on a cable car, Hike, Adventure activities, climb a mountain, paragliding, rafting, winemaking, shop, dine, fishing, wildlife Safari. This place offers a panorama of delightful views, that city is known to be among the most scenic places that you will come across in the Indian subcontinent. Colorful cultural along the steep and narrow streets of the city from an excellent set up to rejuvenate. By air, the nearest airport to Darjeeling is Bagdogra which is approximately 95km away from the city. By train, the nearest railway station is New Jalpaiguri which connects the city with all the major parts of the country. By bus, Darjeeling is well connected with some major cities such as Gangtok and Kalimpong which are 100km and 51 km respectively. Tiger Hill, Dooars, Kalimpong, Peace pagoda, Teesta, sangdakphu, The toy train, Padmaja Naidu Himalayan Zoological Park, Thika, and momos, etc. This place is one of the most pictures give you of Madhya Pradesh place host tourist in Pachmarhi if it is peace that you wish to deliver into during the summer vacations then this is the place for you sitting in the lap of nature this place is blessed with waterfalls and dense forest in abundance which provides you of field of relaxation and stress free city life. The nearest railway station to reach Pachmarhi is at pipariya which falls on Jabalpur rail line on the Howrah Mumbai track it is 47 kilometer from Pachmarhi however Bhopal is the major railway station near to Pachmarhi. Watch bee fall, visit Pandava caves, Handikhoh, Mahedo hill, Duches falls, Satpura national park, Priyadarshini point, Chauragarj Temple, etc. The for people seeking refugee from the crazy city life of a truck and this place prove to rejuvenate The mind body and the soul that its pressure spectacular sides and daring adventure sports it is during the summer is that this destination get a fresh new lock with fees the ripening apple orchards and thick greens oak and deodar forest. Is planning to visit early you are most probably will be reaching from Delhi or Badrinath the best way to reach Auli is to take the bus from Delhi to Rishikesh this is an overnight journey and if you are planning to reach from Badrinath minicabs carry passengers from Badrinath to Auli. If you are planning to reach by flight the nearest airport too early is Jolly Grant Airport of Dehradun. Skiing in Auli, Auli artificial Lake, Visit Joshimath, Ropeway ride, Camping in Auli, Visit Nanda Devi National park, Auli Gordon trek, kuari pass Trek, Visit Trishul Peak. This is a popular honeymoon destination this hill station is also famous by the name of Kodai lying in the Palani hills of Western Ghat this destination is a complete the light during summers it proves to be the right retreat from the highest summer temperature with the view that it’s your breath away. If you are planning to reach by air the nearest airport to Kodaikanal is Madurai about 120 kilometres away from Kodaikanal by bus regular bus services are available from the cities of Chennai Coimbatore Madurai and many more by train many tourists take the rail route and get down at Kodai road which is about hundred kilometers away from the main town. Watching silver cascade falls, Kodai chocolate factory, Shalimar weaves, The prana spa, KurinjiAndavar temple, ice skating café. This place is known to be the nature’s Paradise of the northeast this little town is the capital of the state of Meghalaya find trees waterfalls chilly weather and the serenity of environment make this place a perfect destination in India to spend your summer as this is the abundant nature. Boating in Umiam Lake, Angling at Dawaki, Trekking in the calm and composed trails, Horse riding, River rafting, Kayaking at kynshi River, etc and many more.